Heroku is a cloud PaaS that allows developers to create and deploy applications without having to worry about all the underlying infrastructure. Heroku supports applications written in Ruby, Python, node.js, PHP, Java, Scala, and Go and packs scores of third-party add-ons and complementary services. The rich and ever-growing ecosystem, scalability, and overall simplicity of Heroku are all reasons why the platform is rapidly gaining popularity with companies of all sizes and independent developers alike. 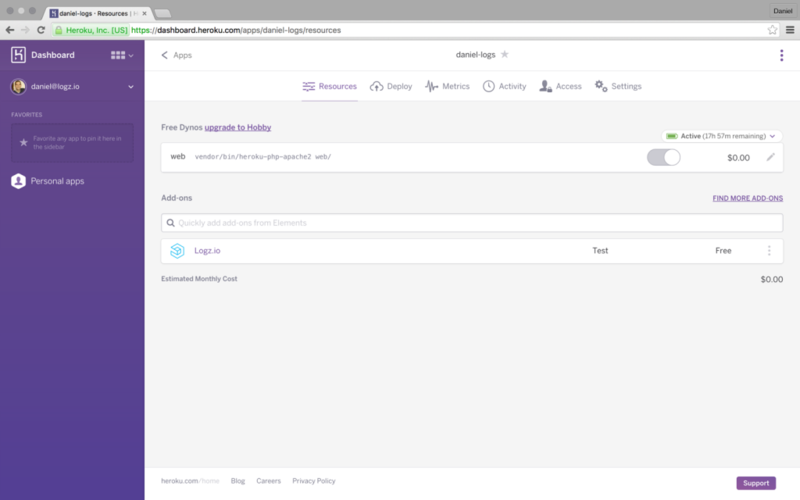 Following our recent announcement of the Logz.io add-on for Heroku, we will now describe in this tutorial how to ship and analyze Heroku application logs using the enterprise-grade ELK Stack provided by Logz.io — our predictive, cloud-based log management platform that’s built on top of ELK. A Heroku account. If you don’t have one, sign up here. A Logz.io account. If you don’t have one yet, you can create a free account here. Let’s first set up our environment using the Heroku CLI and creating our sample PHP application. If any of the following components are already installed, skip to the next step. Our next step is to create a new application that will generate some logging data that we can ship and analyze. I chose to demonstrate the process using a PHP application, but you can, of course, use any application that you like. The Heroku toolbelt CLI tool will now be installed. This might take a few minutes. You will be required to enter your account credentials — the e-mail that you used to register to Heroku and the password you defined. Note, you can leave the app parameter out, and Heroku will pick a random name for your application for you. 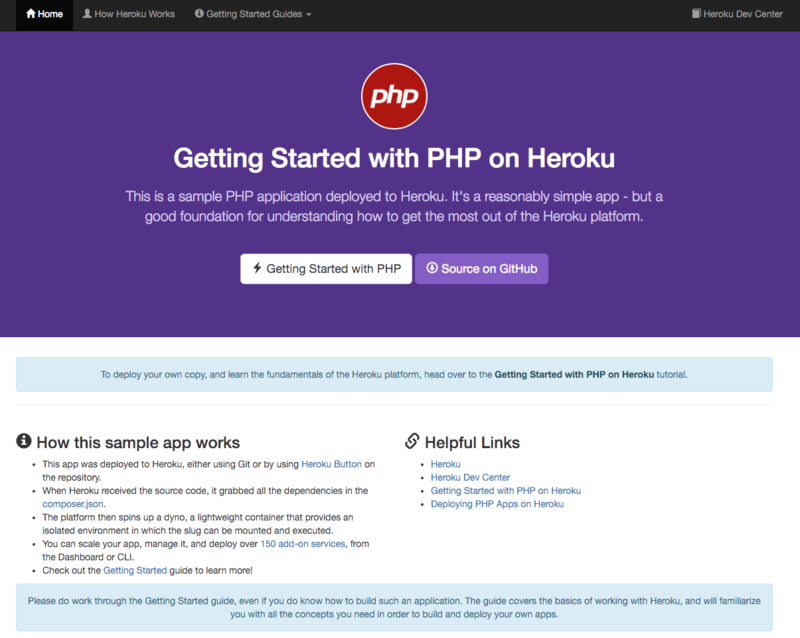 We’ve created and deployed a new PHP application on Heroku. Now, let’s see how to handle logging. In Heroku, all logs created by your app and Heroku components are aggregated and collected into a single channel by a log delivery system called Logplex, which can be accessed via any of the logging add-on providers supported by Heroku or a custom log drain. Refresh your app in the browser to see the fresh logs added. 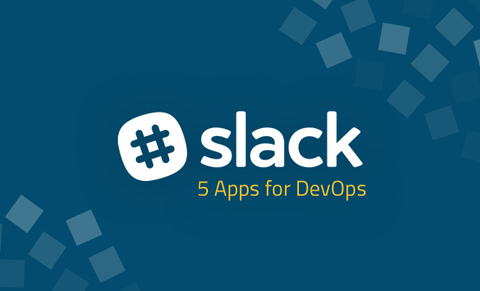 These logs will multiply and get more complicated as you develop your application, gaining real-time and actionable insights will become a business problem in no time. 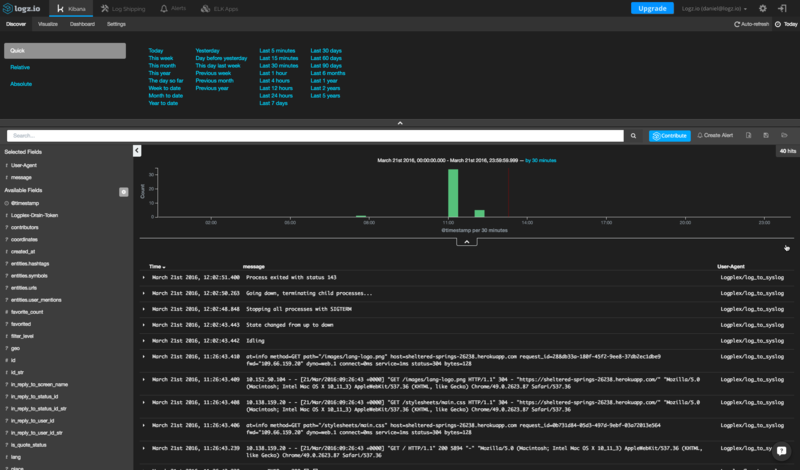 The ELK Stack (an acronym for Elasticsearch, Logstash, and Kibana) is the world’s most popular open source log analytics platform and can now be installed on your Heroku application using the Logz.io add-on. 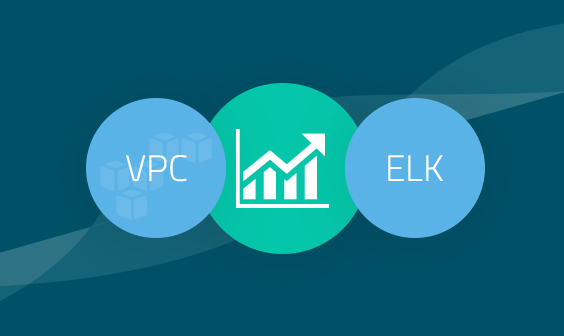 Logz.io provides the ELK Stack as an easy, secure and scalable service on the cloud, with a bunch of enterprise-grade features such as archiving, alerts, security and more. To send logs to Logz.io, we’re going to install our add-on, which is currently in Beta mode and completely free of charge. Once your pipeline into the Logz.io ELK is established, you can start to query the data, create visualizations and dashboards. For an idea of how the ELK Stack can be used for log analysis, check out this video.